The holidays are here, filled with delicious food, dazzling lights and trees lined with gifts. If you are striving to help the environment, here are four eco friendly Christmas ideas to enjoy the festivities while keeping things green. 1. Eco Friendly Christmas Tree. If you prefer a live tree, select one that is chemical free. Be sure to recycle your live tree at the end of the Christmas season. Contact your county’s recycling department to find a drop point in your area. Not only does recycling keep the landfills free of trees, it also adds a positive element to the environment. Your tree will be turned into chips which can be used for mulch and landscaping. For fans of artificial Christmas trees, this is still a good option for the eco-friendly. You can re-use the same tree year after year, which reduces the number of trees that are cut down during the holidays. In either case, select LED lights to save energy. You will definitely see a reduction in your light bill. Save energy by turning off the holiday lights when you are away and before bedtime. 2. Eco Friendly Christmas Gift Wrap. Gift wrapping used only once is a waste of paper and the trees that make that paper. Choose eco Christmas wrapping like recycled paper products and steer clear of foil papers that are challenging to recycle. More great Eco Friendly Christmas Ideas are to use comic strips from the local newspaper as opposed to standard wrapping paper. Also consider creating gift baskets or using containers to insert gifts. A decorative container or unique gift box can be reused throughout the year for storage. Gift bags are another option as these can be used by the recipient for a gift they give to someone next Christmas. 3. Eco Friendly Christmas Cards. Rather than mailing a ton of greeting cards that will be tossed in the trash and wind up in a landfill, consider sending e-cards online to friends and family. In addition to helping the environment, you also save big on postage. Another option is a Christmas newsletter filled with family photos and emailed to loved ones. If you prefer a standard holiday card, choose one printed on recycled paper and avoid those with foil imprints. You can also give those on your Christmas list eco-friendly gifts such as tickets to a sporting event or concert, gift cards to a favorite restaurant or a certificate for a free service such as a massage. This eliminates the need for bulky boxes wrapped in gift paper or things that will end up in the landfill eventually. Open your home to family and friends with a green holiday celebration. Select organic food items from your local farmer’s market or direct from the farm. Instead of buying prepared foods made with preservatives, take time to cook from scratch with fresh ingredients. Serve a beautiful dinner on real dishes that can be washed and put back on your shelf as opposed to paper plates or styrofoam. Time together laughing, talking and sharing is one of the most eco-friendly ways to celebrate. You can also take leftovers to those who are unable to join you, including those less fortunate in your community. This is a great way to teach children how to give back and demonstrate the true meaning of the holidays. As you can see, there are several eco friendly Christmas ideas to have a fabulous celebration this holiday season while keeping it green. Treat your family to a festive occasion they won’t soon forget, proving you can have fun while still being eco-friendly. 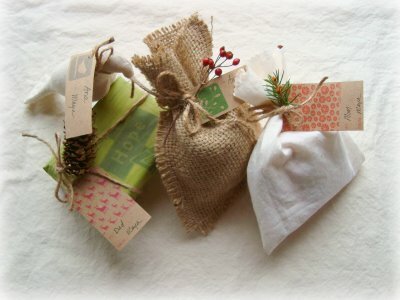 What are your favorite eco Christmas ideas?